Spent another 25 minutes on this...time flies when you paint. 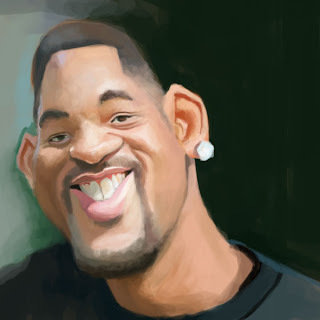 That's a nice Will Smith, Jim, well done ! Thanks Beast and Tel for the compliments. Nice to hear from you two. Hey man what's up??? long time no hear, nice Will dude. Niall...good to hear from you. thanks for the comment. You heading to the convention this year?